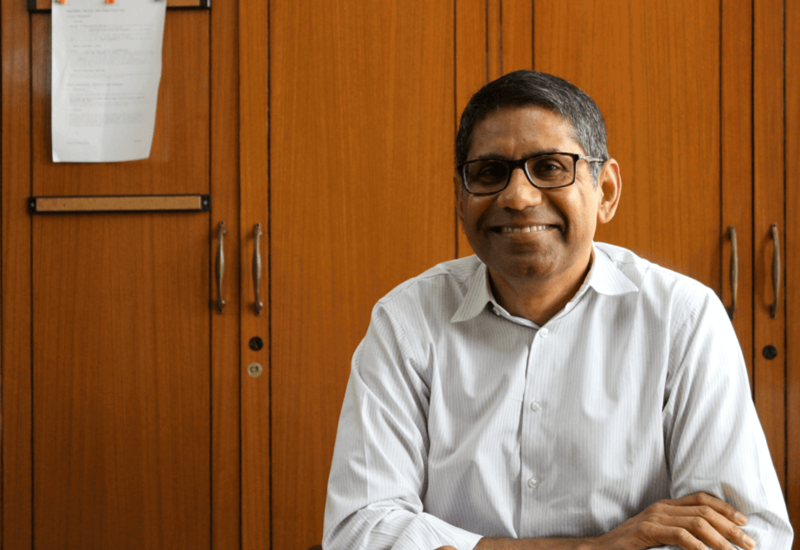 Parth J. Shah (PS), Founder and Chairman of the Centre for Civil Society and the Director of the Indian School of Public Policy (ISPP), has been an active voice in the struggle for a better Indian education system. Today, in the second part of The Art of Academic Discourse series, from the failure to implement strong policies to the urgent need to bring parents into the system, Mr Shah sits down with The Bastion’s Sourya Reddy (SR) to talk about all things education. 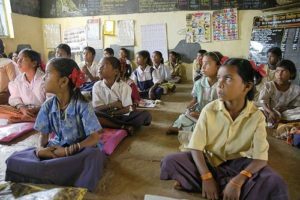 SR: One of the BJP’s electoral promises in 2014 was the creation of a new National Education Policy (NEP), but we are yet to see one. What were your expectations from this policy, and what does this delay say about our commitment to solving the education crisis? PS: Our expectations were quite high, in terms of the policy and with the committees created. For instance, on the TS Subramanian committee, all 5 members were bureaucrats who had experience in the education sector. The main thing we wanted to focus on was improving the delivery of education, which we believed this group would revel in. So we believed that while this group may not be able to look at the larger policy picture, they would have concrete suggestions about how we can make some real structural, nuts and bolts changes. The second committee is much more engaged, probably because they have experienced education systems around the world and have a sense of where the world is headed. There was enough time for them to go around the country, talk to as many people as they wanted to, and get a sense of what’s happening on the ground. So our hope was that they would come up with a much better approach to an education policy, which again, hasn’t happened. And this definitely says something about the priority of our government to battle the education crisis. For 5 years they could not even put together a simple draft education policy, let alone pass it through parliament. Take a look at the election campaign for instance. There is hardly any debate about education; people are talking about jobs and skills. They don’t realise that the most basic skills are reading, writing and some level of logical thinking, which is something you get only in a school, and that’s precisely where we are failing! My fear is that this whole idea of a demographic dividend is just going to become a demographic disaster. SR: In its recently released election manifesto, the Congress said that they would make education from classes I-XII free in public schools. Do you think this is feasible? More importantly, will it be effective? PS: Most of this education is free anyway right? Under the Right to Education (RTE), from class I-VIII, it’s free. You also get uniforms, textbooks, mid-day meals and more. In Delhi, at some schools, the state pays a small stipend to those who attend regularly. I think in terms of making it free and non-demanding on the parents, we have done everything that one could possibly do. But still, we have not reached the levels we need to be at. So I don’t think making it free is going to change the equation much. Now, under the RTE, 25% of seats in private schools are supposed to be free for children from economically and socially backward classes. But the manifesto doesn’t mention private schools, and that is a problem. Currently, these seats are free up to class VIII. The schools now will charge a fee from class IX, which they will not be able to afford. So this 25% of seats in private schools should ideally be targeted as well, so a child can continue and complete their education. 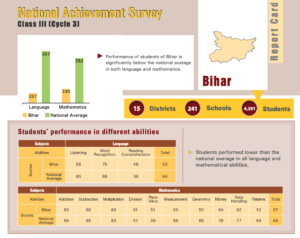 SR: In the past, you have voiced a certain discomfort with processed data, like the National Achievement Survey (NAS) and the Annual Status of Education Report (ASER) data. We use a lot of their data as baseline indicators for our analyses. Why do you think this is problematic? PS: Let’s look at the government’s NAS data, to begin with. If you look at the output, it is what they have processed and formed into tables, and is good for people to get a sense what the numbers say. But from a research point of view, that’s not enough; we need to know the background data as well. This is largely a challenge of mindset — we are not comfortable with the idea that people can look at our data in the raw form and come to their own conclusions. So you want to, in a way, guide what conclusions people can arrive at, by deciding in what form and structure the data will take in the public domain. And that obviously is not the right thing to do. The same was true, by and large, with ASER data. I’ll give you an example. If you look at the report, there is a small chapter that compares private and government schools. In that comparison, they include family characteristics — are the children in private schools coming from families where mothers are more educated, for example. There is data on this, on family income, and some other parameters of a family’s socio-economic status. They control for those factors in the analysis and reach a conclusion that the gap between private and government schools becomes narrower and narrower. This is fine, but the data used to control for family characteristics is not in the public domain. So I can’t independently re-run this regression, or use a different combination of data, with different weightage to see the results. More clarity about what is actually happening can come about, as opposed to just a headline. There is no problem with the headline, but that’s your headline. Other people can have their own headlines, and why not help them create those? And this is what I say is a challenge of the mindset. I don’t see any enthusiasm of being held to account, of being challenged about the information you are putting out. And this is a serious issue. Data is not available to honest, open and critical debate. SR: You’ve been a vocal supporter of market-driven approaches to help improve our educational outcomes. One of the tools you have largely spoken about is an educational voucher. Can you give us a quick breakdown of how this works and the advantages it has? PS: In the government school system, the school, teachers, headmasters, and others are all accountable to the department of education; the secretary of education is the boss; he sanctions budgets, monitors, provides resources, etc. So the accountability is towards the education department, and understandably so. The question we are trying to answer, is how can schools be made accountable to parents? We know that at the end of the day, the person who arguably has the most at stake is the parent. The voucher is an idea in this regard, to make government schools accountable to parents. A voucher creates competition between government and private schools. How it works is that once you get a voucher from the government, you can go to any school you want. If you choose a government school, the money would go to that school. Suppose in a government school you have 2000 students. Then, your budget would be 2000 times multiplied by the amount that is spent per student. Hence, the school’s budget is decided by the number of parents who send their children to that school, and not the Department of Education. Automatically, there is pressure on the school to attract and retain students every year. This could instil some accountability into the public education system. Because a student can use these vouchers at a private school as well, there is direct competition between private and government schools. This will put pressure on government schools to improve. Another effect of this is that parents, who today feel sort of compelled to send their kids to private schools, could save their income. We keep talking about basic income support; this is one of the biggest things that you can do for poor parents. For example, in Bharatpur, Rajasthan, I met a daily wage labourer who was sending his daughter to a private school at Rs 50 a month. You can only imagine what the school must be offering at that price point! The comparable government schools are far better. As soon as you make government schools accountable for performance, you will get see better education in the system. 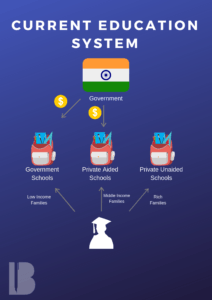 SR: If you were put in the hot-seat to drive education reform in India, with the resources at the government’s disposal, how would you go about it? PS: There are primarily three things that need to be done. First is the separation of functions. Currently, the Secretary of Education does everything; he is a policymaker, regulator, financier, adjudicator and also an assessor. All these functions are done by one single department. Now, take a look around the world. In the UK for example, there are 17 independent agencies that look at the education domain, 17! There are a couple of them that report directly to the parliament. This separation of powers is at the heart of good governance, and we know this from the last 300 years. We have done this in almost every sector that has succeeded in India. Take telecom for instance. We have a policy-making body, the Department of Telecom. Then there is the TRAI, the regulator, and finally the TDSAT, which is the adjudicating body. All of these are independent. In the education sector, at least three basic functions need to be separated out; assessment & regulation, policymaking, and a separate department that runs only governments schools and institutions. The second is to use learning outcomes as the key metric for regulation. Ultimately, we’re not really concerned about the size of the classroom or infrastructure. If government schools do not meet the required goal, they should be closed down, or at least have that threat hanging on their head. A regulator who is independent of running government schools will be able to apply this standard. The government says that if you are a rich student going to a private school, I will make sure that your school meets all my standards. If they don’t, then I can close them down. But if you’re a poor kid going to a government school, just be thankful you have a school to go to, whatever that may be. The government would never apply the same standard to its own school. If you look at it, this is actually discrimination on the basis of income. The parents need to be given more power, and a voucher is one such way of doing it. The third is like what we covered earlier, interventions like school vouchers, that basically convert the funding of a school into per-student funding. This is a somewhat radical idea, and I agree, it has not worked all over the world, but if designed and executed correctly, it can have a huge impact. In a way, these changes can create a domino effect and force us to create or improve systems that don’t exist or are currently weak. Lastly, what advice would you have for those who are just getting into or want to get into the development sector? PS: Two things. First, keep your mind open. India is a laboratory of experiments and there are a lot of pilots going on, so learn as much as you can. Second, and possibly more important, don’t think of poor people as the ‘other’. My key learning from around 20 years of work in the policy field is that no matter what we say about the poor in seminar halls and public interviews like this, when it comes to doing something for them, we always think of them as somehow inferior. We design systems that provide inferior goods and services to them, think that this is good enough for them. This is constantly played out across various policy domains, this view of the poor and what they could do with money. So if you ask people, like in college seminars, what do you think a poor person would do with 72,000 rupees per year in cash? Do you know what’s the most common answer that I have gotten? People shout this out, without thinking — they will drink it away! And yes, while there are poor people who would, those are not the only kind of poor people. Rich people would also drink it away, and they do! So I ask these students, how many poor people do you know? Maybe your driver, domestic helper, and guard? 3 or 4 people? You can’t make a judgement about 700 million people, by the 4 people that you know. Understanding the basis of making any judgements is the most important thing for people working in the social sector, especially because we all come from a moral high ground. Just because I am devoting my life to education or health or any other social field, I believe that anything I do is great. Whatever opinions I have are always designed around ‘what’s good for them’. I have a way of rationalizing all my opinions by saying I am doing it for them. I find it very interesting that those who are seen as champions of the poor are the ones who don’t seem to have faith in the poor. There are so many studies today that show that the poor spend money as wisely or as badly as anybody else. On average, poor people are far more concerned about how they spend their money because they have so little of it. This is the great dichotomy of people who work in the development sector, that we have this one image of the other and we somehow rationalize and affirm this image, even though we don’t have any evidence to back this up. And this is why there is an urgent need for developing future policymakers. Policy reform is hard work and we need many more public policy professionals, who would work not only in Delhi but in places like Ranchi, Raipur and Puri. 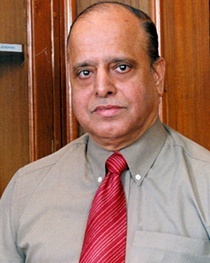 It was based on this belief that the Indian School of Public Policy (ISPP) was born. Created by policymakers for policymakers, it focuses on skills, political economy, ethics and leadership, which we believe are essential for building a more complete policy maker. The rest, I welcome you to explore.